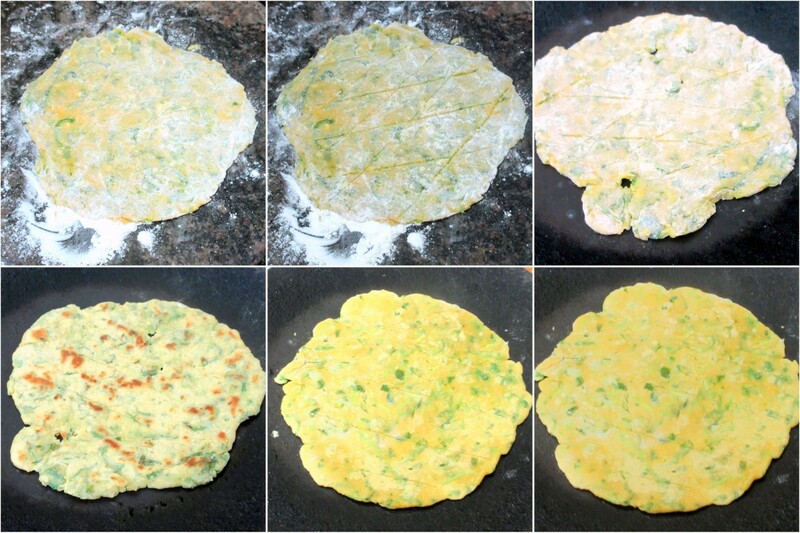 For the final day of BM#57 under Flatbreads, I have a Sindhi special paratha, made from Besan or the Fried Gram Flour. 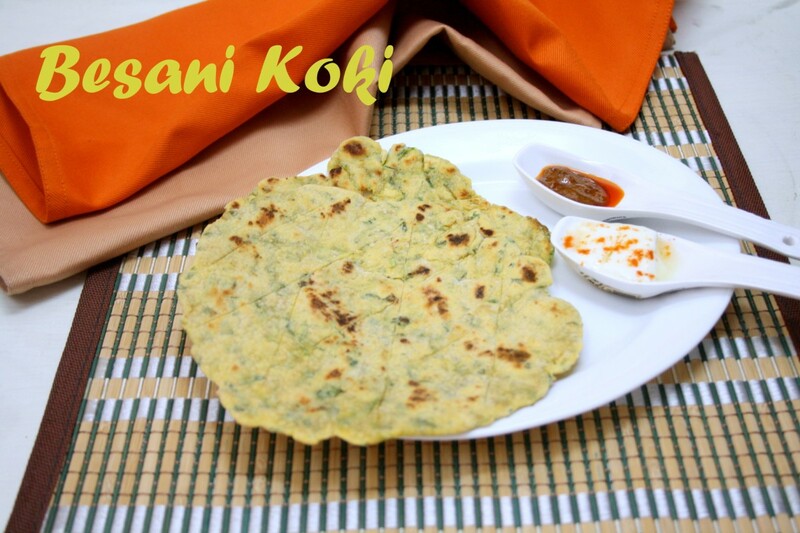 Its called the Besani Koki and is served for breakfast and makes an ideal food for travel as well. This flatbread is adapted from Vaishali’s and made a very delicious Sunday Lunch for us. 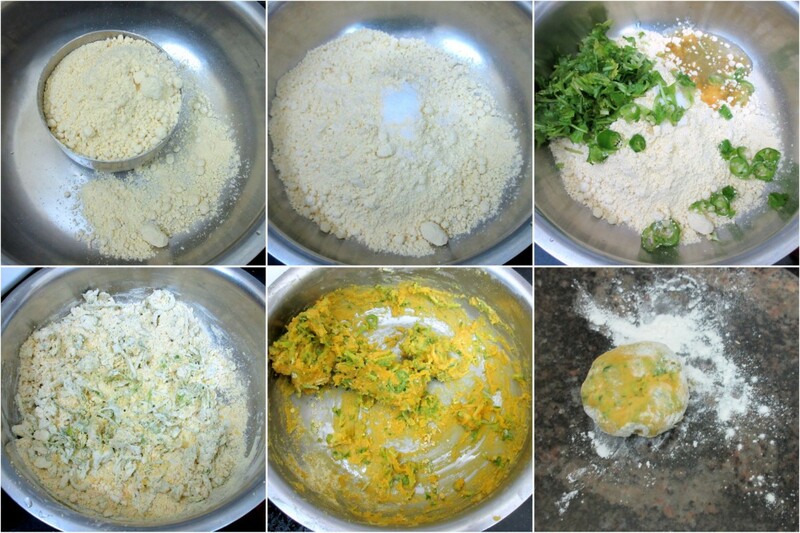 Because of the way it is made and the ingredients that are gone in, it almost tastes like pakoda. I was delayed in making it and finally thought Sunday Lunch would be the best time for me to make, as I always make the vegetarian meals. Vaishali says these are special travel food as these ahve good shelf life. The way it is cooked, makes it easy to bite into it as such. Though at home curd and pickle is normally served as sides. What made the Sunday very special was the fact that it was my Twins birthday and I was also meeting some of my BM Buddies. Vaishali has come down to Madras, so we planned to meet over breakfast along with Veena and Nandini. Rest of the Madras BM gang couldn’t make it. The Birthday boys had the whole day dedicated to their fun activities and had a ball. Everybody asked if I was baking the cake. Unfortunately I am yet to start the tradition of making the birthday cakes that I used to follow some years back. The journey of baking a cake is longer than the actual baking time, is what I have concluded in recent times! Anyway here’s my instagram presence that finally happened and I have been enjoying my snippets of moments! In a bowl, take all the ingredients for the dough and rub in the oil and mix well. Knead to a stiff dough adding water little by little. Knead to a stiff dough. The dough should not be either too soft or too hard. Divide the dough into two . Make rounds and flatten the balls. Roll each into a thick circle . Using a blunt knife make criss cross checks on the rolled disc. Make sure not to cut through. Oh Besani Koki ! Wow its a treat by itself ! Perfectly made i. And ao glad you enjoyed it ! It was really nice catching up and hope the boys had fun on their birthday. Sounds like a filling healthy breakfast. And belated birthday wishes to the twins. Belated birthday wishes to the twins Valli. Koki has been on my to-make list for a very long time. Yours came out perfect. Koki sounds delicious and filling.Belated happy birthday to the boys. 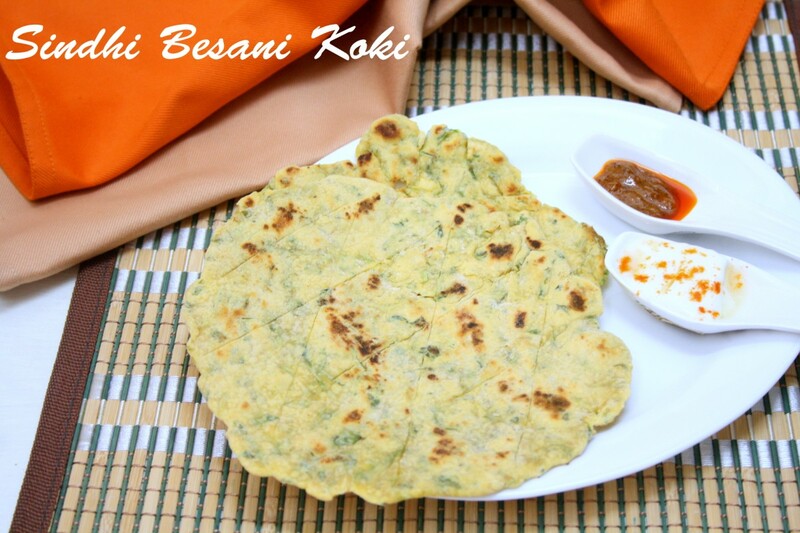 Belated birthday wishes to your boys Valli.. Koki with besan looks amazing, have to make some soon. looks fabulous and I hope the boys had a fun birthday for them! This is a nice flatbread Valli. I never knew there are so many interesting varieties of flatbread!